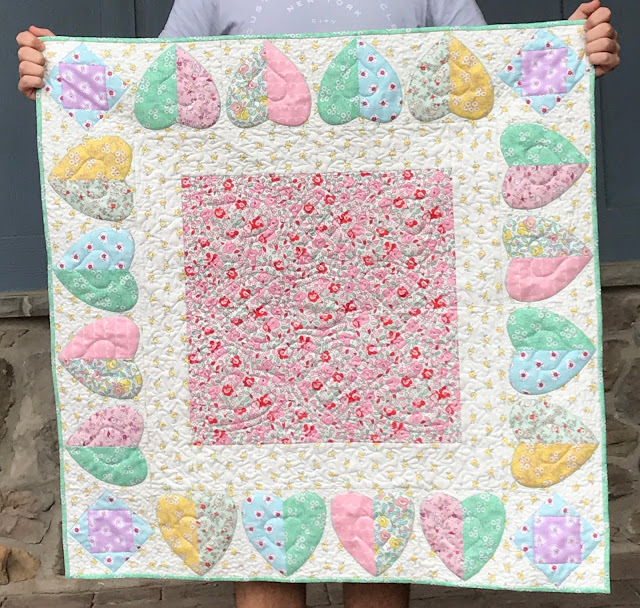 Would you like to see how I appliqued these hearts so they look so soft after I quilted them? I just recorded a video for Annie's Craft Store Facebook page showing you very quickly how I did it. 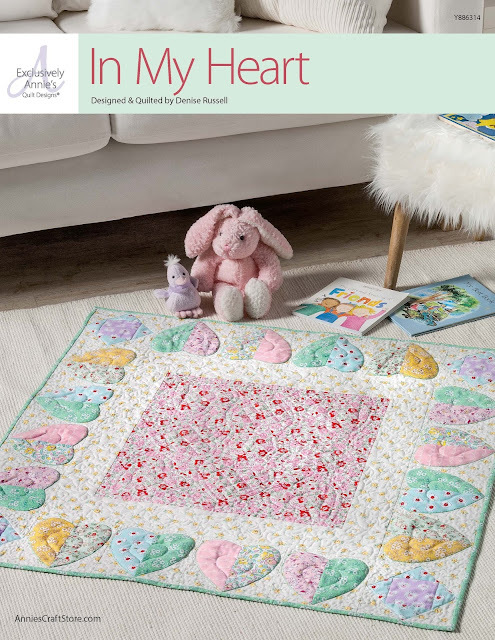 Whenever the applique' motif is large (these hearts measure about 6") I use this technique so I do not have a stiff project afterwards. However, when making wall hangings I am not too concerned about it. In any case, the process is quick and easy - two words we can appreciate when we want to create something beautiful but do not have weeks to do it. So, check out the video and let me know if you have any questions. In the meantime, hope you are having fun with your projects. Thank you! This quilt comes together fast and can be customized by using different fabrics, even a panel in the middle! So precious! Thank you for sharing this.